Cynthia Luo is an undergraduate at Harvard University, studying Molecular and Cellular Biology with a secondary field in English. Cynthia began her work in the lab as a PRISE fellow, helping to develop a novel RT-qPCR diagnostic for Zika virus and a multiplex RT-qPCR diagnostic for Zika, Chikungunya, and Dengue. Cynthia is currently working with Aaron Lin on gaining insight into host-virus interactions for Ebola virus, using both experimental and computational methods. 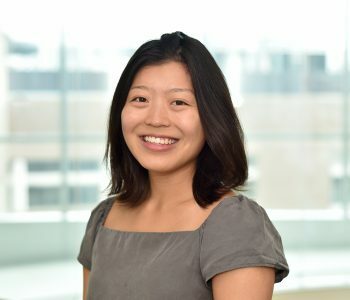 Bridging scientific work with global health applications has been particularly exciting for Cynthia, and she hopes to pursue medicine after graduation to continue this passion. Barnes KG, Kindrachuk J, Lin AE, Wohl S, Qu J, Tostenson SD, Dorman WR, Busby M, Siddle KJ, Luo CY, Matranga CB, Davey RT, Sabeti PC, Chertow DS.